I hope everyone is enjoying your new clean slate, called a new year! I love starting a fresh year with high hopes of making it greater than the previous year. Here’s to all our new wishes, hopes, dreams and ambitions coming to fruition. Nicole has given us a wonderful tool to make our 2018 moments easy to document this year. Her Hello 2018 Collection is full of inspiration to get us started and carry us through the year. 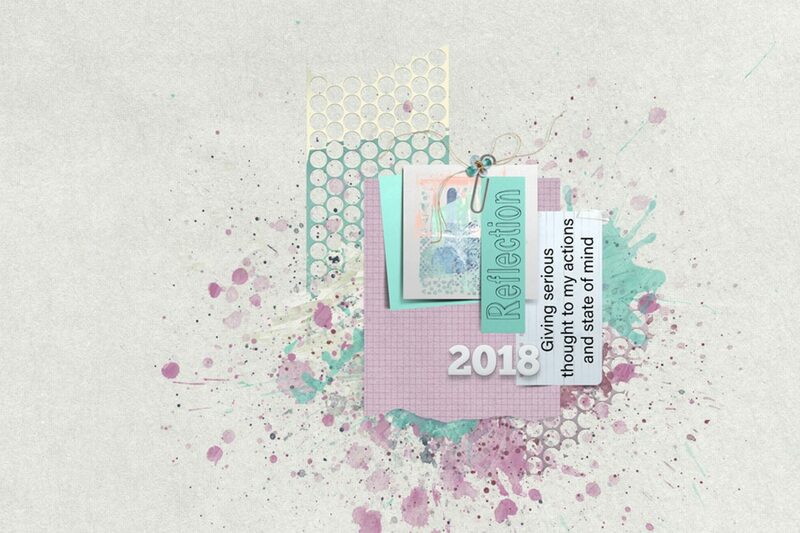 This first collection, of 2018, features, storybooks, artsy bits & pieces, magic lights, overlays, tags, 3D words, many creative styles, brush tools and everything that will keep us inspired to make those magical and everyday moments come alive in our projects. Are you looking for a Project Life group? Do you love creating memories? Are you a fan of NBK-Design? 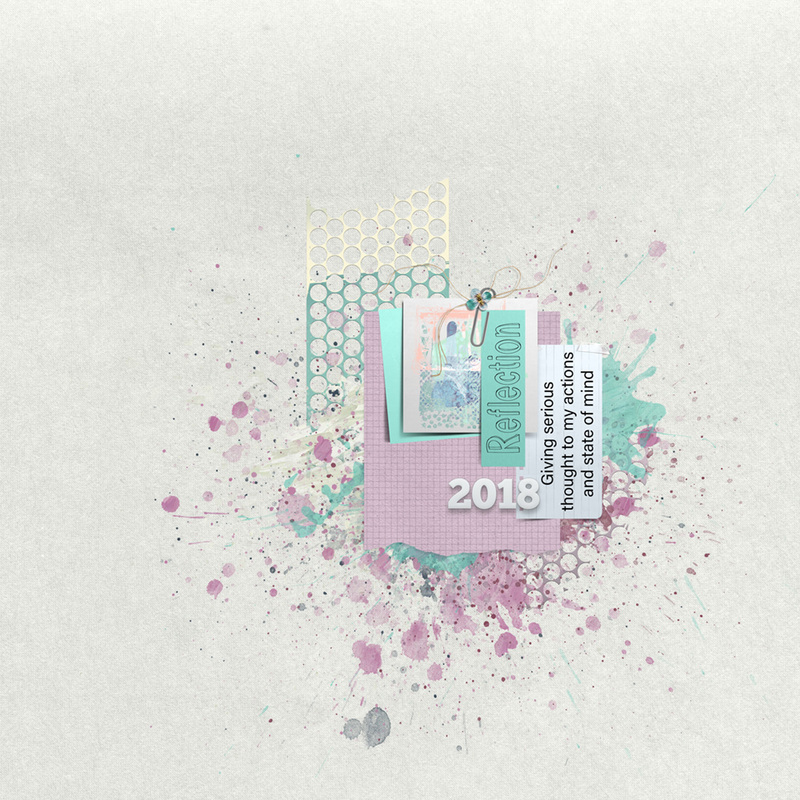 We now have an NBK-Design artJourney 2018 Facebook group, which can be the perfect outlet for you. This group will help in your Project Life endeavors this year. We will have a new theme to focus on, every week, that can inspire your creativity. You can follow our themes or you can chose to pick your own themes. Sometimes, our lives seem a little uninspired and we need that little bit of extra inspiration to get us creating again. If you would like to join in our fun artJourney 2018 group please follow the link below. All active members, who follow our monthly rules, will be gifted with an added bonus at the end of each month. I made my cover page, for my Project Life book, with the Hello 2018. I chose to use a soft color cover (featuring “Reflection” the Word I chose for 2018.) This book will be filled with lots of pages showcasing a vast range of topics, memories and colors that make up my year. This is my first PL project so I’m excited to get started.